Several times recently people have asked me questions that have brought back a key moment with my father. When I received my subscription copy of Hawkman #18, I discovered that in addition to the usual lettercolumn page that I always was eager to read, an entire page was devoted to a letter I had written. An entire page. Wow. I got excited and told my parents. My father asked me to read it to him. I did. And he praised my writing although he knew and cared nothing about comic books and considered them trash. Although my father was an openly affectionate, demonstrative man, praise from him was hard won. He was an intensely critical person, highly intelligent, cultured, and with a breadth of knowledge that was astonishing. He also had a worldly view of life. We got into quite an argument about the implications of an Agatha Christie short story once. He averred that the situation was far more sexually complex than I imagined. He was probably right. My whole generation was raised innocent, and I have always been an exemplar of my generation. My father was a disappointed man. The Russian Revolution robbed him of his home, his family, his wealth, and his place in society. He came to a strange land without a single friend. He soon learned that American society revolved around wealth but was acquisitive of titles. But my father was too honorable a man to sell his princely title to a rich woman’s ego; he refused to marry his way back into his natural place in society, as other titled men did. Although he engaged in many capitalistic enterprises over the years, including self publishing two books, most notably What Is It in Space-Age Russian?, he never regained the fortune he had been born to in Tiflis, Georgia (now Tbilisi). This left him a rich man living a poor man’s life. His perfect British-inflected accent made him sound like a native American speaker, but at heart he was a man displaced. My father was an exceptionally honorable man. In over 25 years of working for the Army Map Service, he never brought home even a pencil or pen that belonged to the government. Like many men in the 1950s, he never really took a vacation. He’d accompany the family on our annual summer drive to my grandfather’s home in Chicago, and then a couple of days later, take the train home to keep a tight rein on the department he ran. The titular head of the department, a native-born American who got the promotion, left the actual running of it to my father. The Geographic Names section was an interesting group of people who were naturalized citizens like my father. Most of them were multilingual speakers who knew eastern European languages intimately. During World War II and the Cold War, their personal knowledge of language and of the geography of their native lands was critical. Only if you’d actually lived in a country could you know that the Soviets had created a map with the river on the wrong side of the city, for instance. Yes, they really did that. My father got diabetes and then tragically suffered an amputation in addition to diabetic retinopathy. He went from 20-20 vision to legal blindness in a few months, and from a whole man proud of his physical strength to a wounded hulk. The last ten years of his life were a brave attempt to keep on with all his endeavors despite his miseries, and in that he showed all the strength he’d had before his illness. He worked until he was 69 and suffered a second amputation, giving everything he had left to his family. Those were difficult years emotionally and physically, and of course, those are the ones I remember best because I was a teenager then. My father and I had a stormy relationship, but we also shared some fellow feeling, some attitude that made us rather similar to each other. It gave us some peace in the midst of the angry whirl. Music moved both of us, for instance, and it was the same kind of openly emotional music. He loved opera, and I do, too. But he also reacted to popular music. When I played the Beatles tune, “There Are Places I Remember,” the last September before I went off to my final year in college, we both were moved to tears. We embraced and cried together, knowing that our separation was likely to be permanent. Only a few months later, he had a second amputation. And then, when I was home on spring break, a fatal heart attack in front of me. That Beatles song moment was the last pure one I had with my father. I cannot hear that song without crying, and my beloved husband, if he hears the song, always comes to hold me. 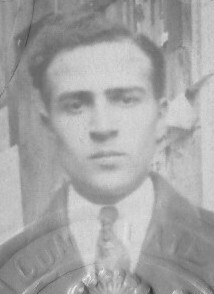 My father died 40 years ago this month. I still shed tears for him on occasions like this, when I remember him vividly. When you lose a loved one, the pain and loss never go away, although they dim. What go away are the arguments that led to me stomping upstairs and my father coming to the foot of them—each of us knowing that with his wooden leg, he could not climb them—and urging me to come back, because he had made my favorite mashed potatoes. And there it is, love in all its curious parts: intellectual, affectionate, silly and toxic, too. As I go through old family papers, I find it hard to part with even a page that has my father’s handwriting on it. Forty years later. Interesting coincidence… the only time my dad and I bonded over a comic book was when I had a letter published in FF #64. Despite the fact that he thought comics were a waste of time and money, he bought a second issue off the stands for me. I’m jealous. All I know of my father is what he chose to show. I know he loved elephants, but, what what they meant to him, or why, he took to his grave. Some people have death masks. My memories of my father are a life mask. Irene, I didn’t realize that your dad worked at AMS, or did I? My sister and her husband spent their careers there. Good people. I thought I had the oldest dad at Whitman. . . he was born in 1903. Yours was born in 1900. . . you win!! My dad also worked for the US government and never brought a pen or pencil home, or even accepted gifts that were sent from various companies at Christmas-time, for fear it would create a climate of favoritism. He would give away the goodies to the secretaries and clerks. I was not pleased. . . but I understood! I love this piece about your father, and I still cry when I think of mine also. They don’t seem to make honorable men like that any more. What a treasure! Even better than a title.